The US Open kicked off yesterday and our photographer, Lev Radin, has a front row seat to all the action, allowing us to bring you all the sweat, grit, drama and excitement from Flushing Meadows, New York. In the crown of tennis calendar events, the US Open is a shining jewel, a spectacle in the world’s capital, New York City. The fight for the title will be more fierce than ever this year, and from August 22 to September 10, all eyes will be on the Billie Jean King National Tennis Center. 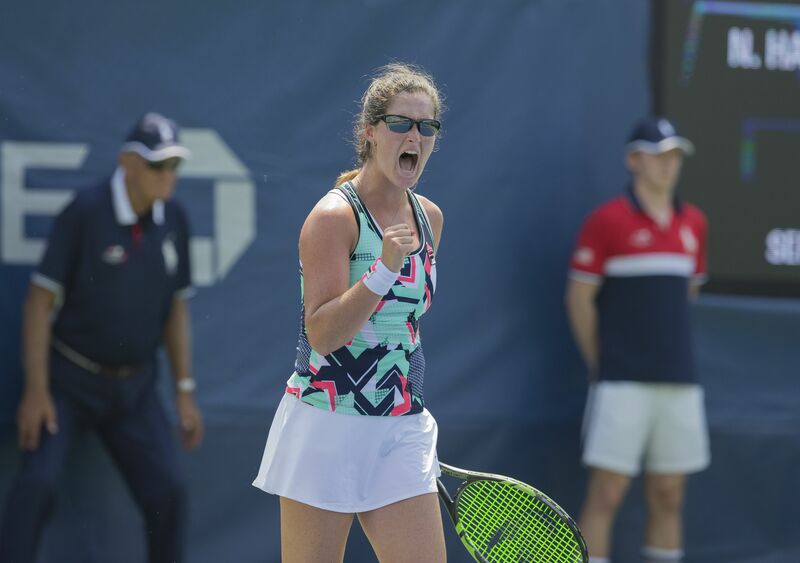 The action from the first day did not disappoint, Jaime Loeb from New York State was right at home in the East Coast summer heat when she defeated Na-lae Han of South Korea in straight sets, 6-4, 6-2. Both the women’s and men’s matches ignited the courts yesterday, a nail-biting match was Bradley Klahn, who hails from Gildshire‘s hometown of San Diego, California, against South African born Australian, Marc Polmans. Klahn took the first set 6-2, only to completely concede the second set to Polmans, 6-0. Yet, the Californian did us proud and came back strong in the last set, winning 6-2, 0-6, 6-2. Champions like Roger Federer will take to the court in the coming days, do you have your tickets yet? Yet day one qualifiers kept up the impressive plays with Russian Anna Blinkova defeating American Whitney Osuigwe in straight sets, 6-4, 6- 2. Osuigwe is just 15 years old and she put up a brave fight against the determined Blinkova. The Billie Jean King National Tennis Center in Flushing Meadows in Queens, New York is the home of the US Open and the place where tennis dreams are made. This year will be no different, as all the best players in the world are set to participate and fight to emerge as the champion and 3.5 million dollar winner. So far the New York heat seems to be taking its toll on the players in this fight, as “excessive toweling” by the players has been reported. While excessive time spent by the players toweling off increases the length of matches, and that is not desirable, as someone who has experienced New York in August, it is a necessity. With temperatures soaring in the 80 degrees Fahrenheit and humidity at around 50%, those towels provide some much needed relief. An exciting start to this distinguished tournament which has a long and treasured tradition, for all the official results visit the US Open website.